I lived in Nanjing, China from September 2012 to September 2014. In September 2013, I returned briefly to the USA to ship paintings to China that I completed during 2012 in my Marin county studio. 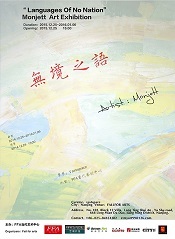 Beginning in January 2014, I began painting towards an exhibition in Nanjing at the Fall For Arts Gallery. 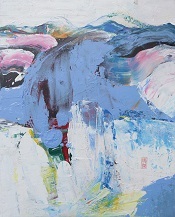 Works completed in China were among the dozen paintings exhibited in the second exhibition at the Fall For Arts Gallery scheduled for January 2016. 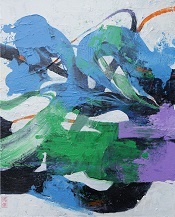 My abstract expressionist works completed in China reflect a change towards softer blues and greens as well as a gentler flow of form from one direction to the other. 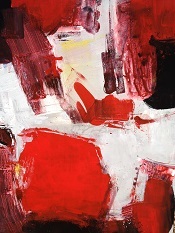 The two larger paintings, No Surrender and Red Eye were completed in California.